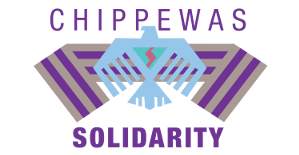 Chippewas Of The Thames--In less than two months, Chippewas of the Thames First Nation will appear in the Supreme Court of Canada (SCC) to assert their right to consultation and argue that the Canadian government failed in this regard for the heavily contested Enbridge Line 9 pipeline. This challenge comes amidst a wave of resistance to pipelines and a heightened profile for issues of consultation with Indigenous communities. But the path to court is made difficult beyond the legal argument as COTTFN has to finance the legal defence of their rights against treaty violation, which they anticipate will reach half a million dollars. $50,000 has been raised so far, and for the remainder, COTTFN’s fundraising and awareness campaign is intensifying with a new video and websitehighlighting issues of the case and foregrounding voices from the community. COTTFN is challenging the Canadian government’s approach to consultation, arguing that based on treaty and Canadian law, the federal government is directly responsible for consulting Indigenous communities on projects that will affect them, and the National Energy Board (NEB) is not a substitute. Clyde River Inuit is simultaneously challenging the lack of consultation in the NEB process which approved seismic blasting exploration in the waters surrounding their community. The recent successful challenge to the Northern Gateway pipeline addressed similar issues, with the ultimate ruling affirming the Canadian government’s legal duty to consult. COTTFN’s case will argue specifically that the NEB cannot substitute for the government in consultation. COTTFN filed their initial legal appeal on April 8, 2014, well before the line was operational, yet in the delay preceding this hearing in the SCC, Enbridge has been operating the pipeline and profiting immensely from the flow of oil, including tar sands and fracked oil, through it.